There is an outfit in Kamloops BC...Sportsman Light Truck. They'll convert most anything. The reason Whitefeather gets a bad wrap is the electronics.... Their built quality isn't the issue. But the Ford-spec Dana 60 won't play with the Mercedes stability control (and ABS, and crosswind assist) to the point that some owners have had warranty work blocked by MB, and eventually MB sent legal notice to Whitefeather that their conversions are not FMVSS compliant. If all you need is winter traction, automatic tire chains might be a good solution. 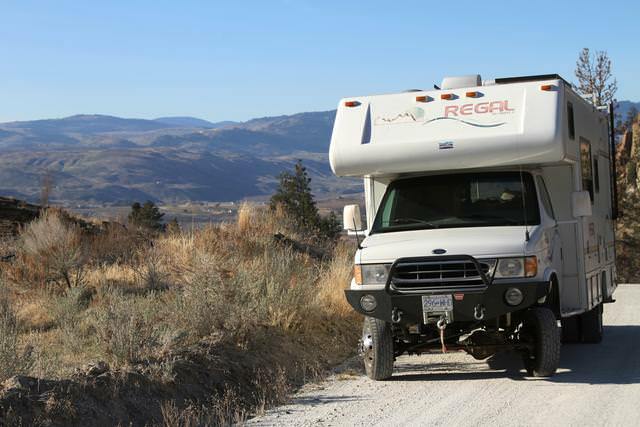 If you want a rear 4x4 motorhome, the E-series is still the best bet. A QuadVan E450 motorhome will handle better than 2WD. As mentioned, Transit 4x4 conversions are possible too, but it still will be far more limited than an E-series. - It looks like your 4X4 Class C in the photos had it's stock front coil springs replaced with leaf springs? Does it ride rough in the front, as a result? - Also, is that black structure on the rear your rooftop boat rack? - Did the 4X4 conversion on your Class C include replacement of the rear differential with a limited slip or locking differential? Ujointoffroad has a good rep but they don't work on sprinter chassis. To my knowledge they only work on the ford van/van cutaway based class b/c. Quad Van in Portland is doing conversions on Transit platforms. They had 3-4 in progress and several completed when I was there last April. I don't know how big you need or what your price range but here's a Gemini based on the Ford Transit with either diesel or gas. Add a Quigley 4x4 conversion and you're at around $100,000. I don't know if you are 100% set on a Sprinter, but the Transit is pretty comparable other than a 700 lb lower GVWR. Thanks for the idea. I did check them out, but none of their floor plans work. I am looking for something where the bed is usable with the slides in. I do a lot of long distance traveling and I often stay the night in rest stops, or off highway exits and wouldn't be able to extend the slide for sleeping. 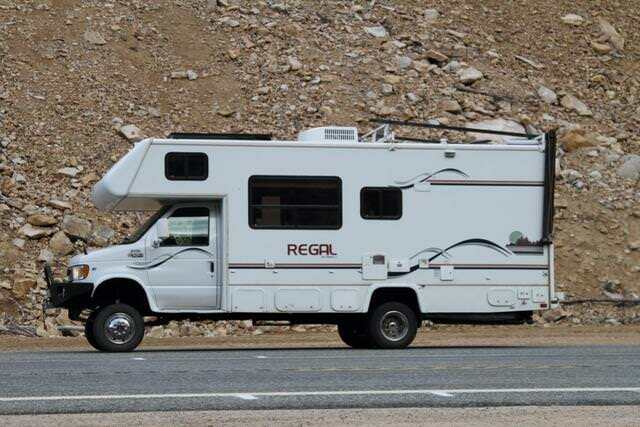 If I went with a new RV, are there any manufacturers that make Class C's from a cutaway? If I ordered a Sprinter 3500 4x4, will anyone turn it into a class C? This would likely be about similar in cost to getting a conversion done I suspect. Plus, I would get all the options I wanted in the Sprinter, and could delete the options in the RV I will never use. Resale would be very good as well. MB doesn't make a 4x4 Sprinter cutaway, so anything on a van cutaway would have to be a conversion to get 4WD. There are pickup-based Cs on the market that have factory 4WD but I don't know if they fit your needs as far as space and/or price go. I mean order a van and have them cutaway the back. Not cutaway meaning chassis cab. It used to ride rough, Phil. Canada Spring added a third and that took care of the porpoising. Yeppers. Hand crank on drivers side. Not to my knowledge. I will drop a line and ask the shop. I bought this after the conversion was done. I know there is not a locking diff. If I hadn't bought this...the next best answer is a locking diff and a lift. I've got a Phoenix Cruiser that has the QuadVan 4X4 conversion. Handles great off road.